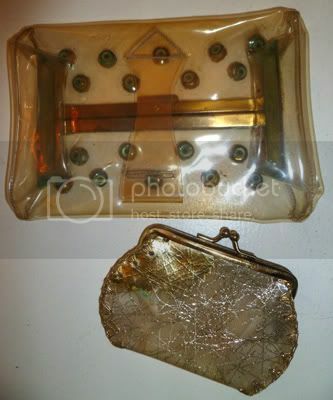 Plastic and Rhinestone Belt Bag with Coordinating Change Purse. 1950s. Maker: Unknown. 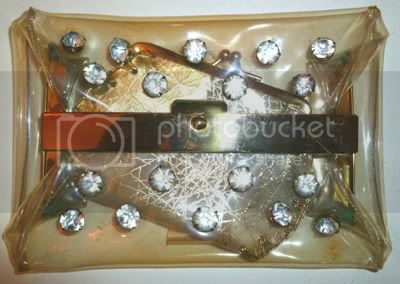 Petite, envelope-style evening purse with giant, prong-set rhinestones and goldtone metal closure. 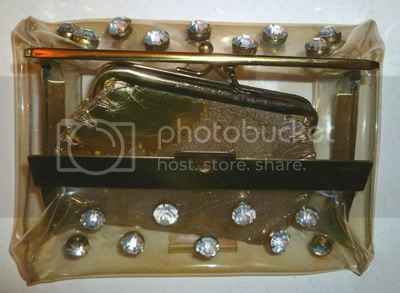 The purse’s sides stand up to put in your stuff, like this coordinating plastic change purse, which has gold veins running through it and gold stitching at the sides. 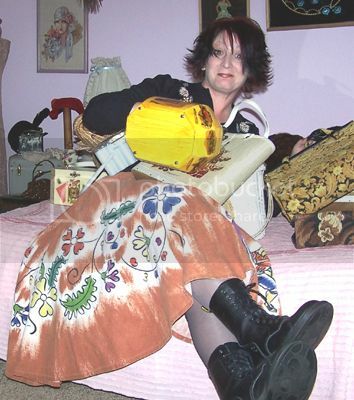 Both purses have yellowed with age, which is pretty common for 60-year-old plastic handbags from this era. 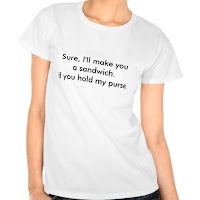 The most interesting part of the evening bag, besides the wonderful garishness of the stones, is that it has a loop in the back, so you can conveniently wear it on the belt of your cocktail dress or evening gown. I recently acquired a huge box of vintage bags for ten bucks, plus shipping cost, and these were among its contents. 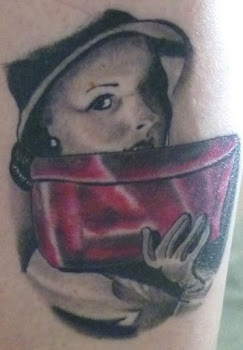 I’ve never seen an envelope purse quite like this, let alone one with a belt loop in the back. Pretty cool.